Many organisations lack a clearly articulated and well-communicated product innovation and technology strategy. Such a strategy is essential and is strongly linked to positive performance in product innovation. A comprehensive product innovation strategy must include, among other elements, clearly defined objectives and defined strategic areas of focus and a clear understanding of how these product innovation objectives tie into the broader business goals. This must address where you want to approach the market. What are the niche sectors that you intend to focus on? What is going to deliver your key USP’s? This must address how you’re going to approach the market. Whether your products are truly innovative, with little or no competition, or ‘fast followers’ entering a competitive market. Each will require a different approach. Real product innovation must deal with budgetary spend. Both on product development and resource commitment. How much and for how long? here do your priorities lie? How are you going to get to where you want to go? 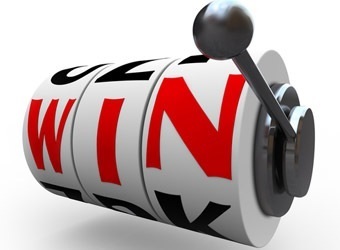 To deliver ‘Quick Wins’ will necessitate identifying 2 or 3 prospective customers who you are already talking to and then focus on their specific need that could be potentially fulfilled with a ‘short term’ resolution that the business has the ability (in terms of time and resource) to implement and deliver. Ideally such ‘Quick Win’ prospects would also identify a particular product / service that could then be developed into a longer term marketable solution for other customers. ‘Quick Wins’ are important for the reasons already stated, but they can also often help to define a longer term product strategy. To ensure you are competitive, you have to deliver the right products or services at the right cost into the niche market sectors you have already identified, with strong USP’s and with strong marketing and sales support. To stay competitive however, you will need to keep your offer fresh – that means keeping up with trends in your market, utilising emerging technology and continual refinements to your products and services. Whilst it is likely that the majority of your customers will be where your principal knowledge base lies, this should not inhibit you from targeting other areas across other business sectors. Market research becomes a factor here to find out who your prospective customers could be in these other sectors, what they might need (and in particular what they can’t find anywhere else). More importantly will they spend money to acquire such a solution, and then it’s for your business to design and develop a product and/or service that will suit their requirements. The reality is that whilst your business has its current concepts, it’s now about moulding these into marketable products and services, with the right skills and technological resources. Remember that the basic principles still apply – good product marketing looks for ways to adapt and promote products to match both existing and future customer requirements. Product features, functionality, design and quality can all be tailored to the needs of your target market. So too can your image and the customer service that you provide. Simply meeting customer needs is not enough – you also need to make sure they select you ahead of your competitors. You will need to focus on your people and your credibility as equally as features & functionality, quality, benefits, savings, reliability and customer service to position your products and services as a premium offering that’s ahead of the competition. Customising products and services for individual customers will also make you appear unique. A tight focus on the different customer segments that you’re targeting can help identify opportunities that you can differentiate effectively. Products targeted in this way can give you competitive advantage, even if the product itself has few specific features. To keep up with your customers – and your competitors – you will need to ensure that you continue to assess new products and services. This will allow you to leverage your existing customers with added value ‘on sales’, build customer relationships and maintain credibility. Equally, it you’re aiming to be the first to market with certain new products and services, then you’ll need to invest heavily in innovation. This is a higher-cost, higher-risk strategy, but the payoff can be significantly greater. Being second to market is the best strategy if you have fewer resources. Costs and risks are lower, and you would need to focus more on differentiation (rather than innovation) in order to tap into a growing market. Ideally you should aim for a product / service mix that fits your overall marketing strategy. If you typically sell ‘one off’ products which customers purchase only once, then you need to think about additional products or services that ‘add value’ to the overall mix and would ensure that you can attract existing customers (as well as new customers) to purchase these additional products or services. 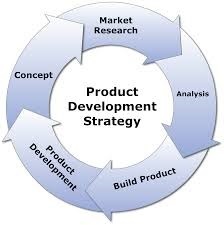 The initial stage of any product assessment strategy would be to undertake an initial review of all the projects that staff within the business have been working on over recent months, as this will begin the process of identifying where opportunities may exist that then need to be ‘drilled’ into further to assess where and how a product or service could be developed that would deliver real value and real benefit – as well as revenue. Then it will be important to prioritise everything into short (3 to 6 months), medium (6 to 12 months) and longer term (over 12 months) opportunities. The key is to focus on not just where the opportunities lie, but also those opportunities that would deliver ‘quick wins’ – so important in generating early recognition, early revenue return, and early credibility – which helps pave the way for developing the medium to longer term opportunities. In conjunction with the above, it’s about dovetailing what is considered as a good business opportunity with its designated market sector. Ideally, you want to establish a niche sector because if there are already ‘players’ in this sector, then it will become much harder to get established, the cost will be greater, the return will be less and the risk will be higher. Is there a need in the market for what you have identified? Why? What justification is there? Is there no (or little) competition at present? Again, why not? Is there something you’re missing? If you enter, is it sustainable? How? And for how long? What would you need to have? What resources will you need to do this? Have you identified any potential customers? If not, then you need to! What’s the potential forecast revenue return? When? Is the risk acceptable – yes or no? Equally, the identification of USP’s, before you enter into any development, will highlight the key differentiators that will set your opportunity apart from the competition. These will be critical, not just because it will help to establish some ‘quick wins’ but also to maintain any competitive advantage moving forward. Intellectual Property (in its truest form) is a legal term that actually refers to creations of the mind. From a business perspective, examples of Intellectual Property would include things like words, phrases, symbols, and designs. Under Intellectual Property laws, owners of Intellectual Property are granted certain exclusive rights. Equally, some common types of Intellectual Property Rights (IPR) would include copyright and trademarks etc. A copyright gives the creator of an original work exclusive rights to it, usually for a limited time. Copyright may apply to a wide range of creative, intellectual, or artistic forms. Copyright does not cover ideas and information themselves, only the form or manner in which they are expressed. Copyright infringement is reproducing, distributing or displaying a work without permission from the copyright holder, which is typically a publisher or other business representing or assigned by the work’s creator. While copyright is created the instance a work is fixed, enforcement of copyright is generally the responsibility of the copyright holder if any infringement has taken place, and then only if the copyright holder has actually registered the copyright. Many people or business often don’t do this however. Clearly, your business would want to develop marketable solutions that you could copyright to ensure that others did not benefit from your work. Equally however, the business would need to ensure that you have not infringed any third party’s copyright by using existing third party materials that may or may not have then been embellished to produce something new. Establishing the actual facts here can be a very fine line, and indeed a very murky line in some instances. In reality, the key is to clearly assess where all the materials have come from that are to be used in the makeup of any new product or service that your business intends to offer. And as this is developed, you need to establish whether indeed you might have (inadvertently or not) infringed any Intellectual Property or Copyright laws.